Their 131-page planning report (pdf) on proposals for the Bishopsgate Goodsyardsite concludes that erecting 12 buildings of up to 46 storeys, forming a gargantuan cliff face on the edge of a conservation area, “would result in unacceptable and avoidable significant negative impacts”. Full marks for observation. The East End Preservation Society Launch cottages or Saif Osmani revealing that the future development plan for Whitechapel, of over one hundred pages, does not include a single mention of the Bangladeshi people. So Long, Spitalfields Fruit & Wool Exchange the sixty small businesses based there have to move out by the end of November to make way for the corporate office block that will take the place of the current building. Community land trusts battle gentrification by linking house prices to local wages rather than the market rate. But can this growing fho^f^gm_hki^kfZg^gmerZ__hk]Z[e^ahf^lk^Zeer^Zl^ ;kbmZbglahnlbg`\kblbl8 East London Community Land Trusthas succeeded in creating housing where the prices will be linked to local income in perpetuity, entirely detached from the superheated speculation of the property market. Spitalfields landmark to get £200 million revamp after M&G deal Hordes of suits piling out of Liverpool Street station will have a new £200 million office block to call home after developers get to work on Zghma^klrf[heh_Ehg]hgl trading history. House price predictions for 2017 London's annual house price growth for 2016 (3.7%) was below the UK average of 4.5% for the first time since 2008, the Nationwide Building Society says. “Big changes are happening in London and the very popular questions of who owns the city, or how do the citizens use it have been coming up. Can one modify a part of the local economy? You are trying to suggest the different ways where local can still be effective and it is a very tricky process for each of these, raising questions of funding; of how could it be particularly possible of doing these things and the huge economic pressure which is happening in Bishopsgate, Goodsyard. If that goes ahead that would dramatically make it difficult. Having said that, it is a great attack on the problem to start with, I like very much the attempt to scale each of the problems, each of three issues that your addressing. how can we respond to the full privatization of the city? A transition throughout the urban fabric of the area is noticable, which creates a perception of strips that shape the area. While in Bishopsgate new high rise developments seem to be coming from LondonĘźs business centre into the City Fringe, Commercial Street has a more dense pattern, transitioning to a more fragmented land with estate housing blocks past Brick Lane. Secondary streets cut perpendicularly without straight continuation through the strips giving the pedestrian the perception of the thresholds that are formed by these distinct layers. what form of local resistance can facilitate change in the contested area? How could the notion of a vertical factory modify the synergy of this area where local producers are moving away from the centre? The Central Saint Martins College in London, redesigned by Stanton William Architects, occupies partially a former factory in the city and presentes similarities with traditional production spaces in its workshops and maker studios. The dynamic of cities have changed by new types of industries and shifts in the chains of production. While existing industrial buildings are transformed into new functions, new types of factory typologies are being developed to match the new demands of the society in relation to financial, food and energy crisis, and the lack of space in cities. In a more collective living society, the concepts of working, living and making are becoming each day more blurred. Buildings are designed to become resilient towards fast changes in society and demands, but also generate generic spaces. Institutions mapped in the territory start to suggest the possible areas of interventions. Through mapping the area, various institutions were identified. Different sectors exist contributing to the areaĘźs identity, being them related to production cycles which largely characterized the area in the past. The small scale producers of food and textile are now being taken over by the global market, while producers of knowledge such as the schools seem to become more segregated. This drawing represents a filtered analysis and emphasizes the potentials and characteristics of the area, through the use of different strategies and spatial devices. The courts, the strips and the clusters have helped, in fact, the reading and definition of this portion of the city. The importance of the numerous and various institutions, both public and private points out the presence of three different sectors, the food industry, the fashion and textile and the school. what could an appropriate architecture be that supports the small scale artisinal economy? case studies A series of case studies were studied through concept, scale, architectural elements, circulation, typologies, to create a base of research for the spatial translations of the social infrastructure as concept, into architecture. The Workout Pasubio, a new creative production space that replaced the old factory, designed by ACC Cristiana Castano, proposes the new program through flexibility and temporary usage. A movable partition permits sharing and shifting environments amongst the program and users, generating diverse spaces within the new centre. A sectional Isometric drawing illustrates a part of Green Housing, a communal apartment building in Turnout, Belgium Flanders by Something Fantastic. The communual area of the inner court provides gathering spaces for inhabitants, while the unit attached to the it is a shared space amongst flatmates in each residential unit. The shared space creates a transitional buffer zone from communual to private space. This idea permits a balance between privacy and the open-access area to be used by the community. lt josai by naruse inokuma architects The LT Josai designed by Naruse Inokuma Architects conglomerates the individual housing units and common spaces independently, using the interlock concept to create a co-living lifestyle in a three dimentional way. The spatial qualities respond to the notion of openness among neighbors to permit interactive activities. The Commons, a department store, proposes a new mall typology in a vibrant district of Bangkok. The open-air communual area of the project allows people to move from the ground to the top level, while vertical voids and circulations provide connectivity and interaction amongst shoppers. Shop units were arranged as stand alone booths offering multiple facets to display products and encounter passerbys. From this case study it is possible to notice the benefit of designing a large communual area that stimulates visitors to use the space and shop displays become more dynamic. Beyond that, an open accessibilty throughout the space is possible. investcorp by zaha hadid architects In Spitalfields there are many unused interstices with fences or walls. To utilize these undefined spaces in a better way we looked at the advantages of the new Investcorp building designed by Zaha Hadid Architects. Instead of creating series of blind spots, the bridges used to connect the neighborhoods can relate to the common ground concept in other levels. From a set of diverse case studies specific atmospheric, conceptual and spatial qualities had been extracted forming a basis for the development of the projects. The idea of interlocking levels and moments of conversion were attempted to be spatially translated in the three identified research clusters. These are perceived as a tool to facilitates spatial at the same time social overlap, emphasising the importance of sharing and exchanging. Moreover, the design of open and flexible floor plans, as seen in some exemplars, formed a basis for the coexistence of activities and actors. According to something fantastic's idea of spatial hierarchy, the proposals follow a similar line from private to common in regard to the implementation of more distinct activities for members or others open to the public. Above all, with respect to their alternative production and management system, all three clusters are thematically connected to a larger network within the neighbourhood. Located in the City of Gooik in Flanders, the intervention of bridges connecting the islands of buildings that create clusters of functions and a circulated common space permeates throughout the landscape. These physical connections can also be thought of as conceptual into the design of the open access city. In each cluster one or more architectural devices were identified and translated into the design. Crossing points, strips and thresholds determined specific notions to the areas which led to decisions such as rethinking notions of courts, transitions and edges. textile hub we local small businesses are suffering from the competitiveness with global brands, how can we keep up with them? history of this area, and until today is represented through some aspects of its urban fabric and activities. The strategic model includes capitalising the funds from global economies such as the fast fashion brands and in turn creating an appealing â&#x20AC;&#x2DC;imageâ&#x20AC;&#x2122; through marketing, this would support local artisanal economy. Therefore, the role of the social infrastructure attempts to prevent complete privatization of the city. The exploration can be translated spatially through resilient structures that respond to the city fabric today - a new type that can embrace both working and producing. The intent of the Textile Hub is spatial derivation of incubators, startups for production of goods and knowledge as an experimental space for engagement between local and global economies. The potential site is situated at the threshold of contrasting conditions of the expanding city fringe and more consolidated areas such as the Commercial Street. Degrees of openness and patterns of density in the area are noticable. Reinforcing the existing activities in the proximity area such as fabric shops, resellers, tailors, the Toynbee Hall and Istituto Marangoni, a fashion school which characterises the area, were key considerations. The fragile location of the triangular site makes it more prone to developmental pressure. The possibility of merging it with surrounding blocks was realised. The varied surrounding block morphologies and working-living patterns played an important role in defining the form and uses of the proposal. The working pattern today is not linear, where knowledge and production of goods and materials are disconnected. When rethinking industrial buildings today it is important to bring them together with other sectors and phases as a way of exchanging and sharing. The model studies shows the transition from linear to perimeter; and further to mixed use block typologies leading towards vertical as well as linear methods of production. The triangular site led to an investigative study of methods to spatially approach the edges and corners. The treatment of the corner largely drove the spatial statement of the proposal. The first proposal explores the cluster typology. Work spaces, public resources and learning environments form smaller sub-groups complementing each other. The vertical cores act as the main architectural devices that separate while connecting the various uses. Two linear slabs define the form of the second exploration. It experiments breaking the notion of a common ground by occupying a raised level as the primary element for open access. The typology adapts features of an industrial building such as deep floor plans, grid structure and high ceilings. Ponctual circulation accesses distributed without a rigid and modular distribution creates a dynamic path of exploration throughout the many processes of production that happen in this building. The linearity of glass walls that permit visual connectivity within the production spaces on the ground floor opens up the structure as an interactive environment for the commons. The design concept creates an open access city that is reachable by the local community and citizens in general. how can we think of alternatives to the expansion of large franchises? Along Brick Lane, the food culture is present in different ways. Countless restaurants, cafes and grocery stores are part of the permanent local activity whereas pop-up events including food markets and food festivals occur in the intermediate. Today, non-stop expansions of large chains, such as Pizza Express or Pret A Manger threaten the existence of this independent and diverse food culture around the area of Brick Lane. On the contrary, with the emergence of delivery services and catering start-ups besides the increasing demand for organic products, the former industrial compound of the Truman Brewery, is seen as a prospective key location to promote local production and delivery of food for a global network on the basis of existing structures. The existing structures of the Truman Brewery raised questions at the same time speculations on the repository of heritage. 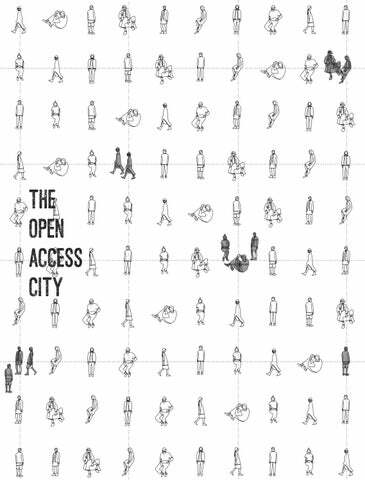 The paradox of the accessible fortress is emblematic in the vision of the Open Access City. The Food Factory is located on the site of the Truman Brewery on the ground of the former industrial compound. Its proximity to Brick Lane, benefiting from present networks, is the ideal location to manage not only local production and distribution of food but also to engage in the global system. The question of how to relate this compoundfor to its surroundings and become part of it was important. The new intervention aims to perforate the closed and inaccessible block of the Truman Brewery. By taking down parts of the perimeter wall and interpreting its edges differently, including new buildings, open spaces, free-market plans, arcades and stairs the ensemble is permeable and integrated to the neighbourhood and becomes explorable for the local residents. All activities of the mixed-use Food Factory are designed to promote the production of food and expert-knowledge. This includes a space for markets and food assembly as well as stations for catering and delivery. Furthermore, the implementation of a School of Hospitality, including event venues, along with shared rentable kitchens can act as a catalyst for start-up enterprises, producing customised local goods and services for the food sector, to challenge the global market. Above all, temporary housing units, run by the students, are available adds additional value to the neighbourhood. On the grounds of the self-sustaining Food Factory, production, delivery and management of food for the local economy confront the large-scale global system. This new co-making network is rethought as powerful social infrastructure boosting the social and economic activity within the district moreover the city. Spatially, the inner courtyard is conceived as a transition or crossing point of the different actors â&#x20AC;&#x201C; chefs, students, residents and visitors. from the city to the park passing specific activities. Initially, the Truman Brewery compound was perceived as a walled off compound housing various activities. Taking the idea of an open ground forward, obstacles in the existing fabric are replaced by hyper accessible spaces for exchange, promoting inclusivity. Transitional spaces between food production and consumption are used as urban gardens and food markets that can be maintained by the community. Although the housing blocks and the vibrant Brick Lane are in close proximity, neither can benefit from each other. The design exploration replaces the underutilised threshold between them with a public square creating a multilayered network of open spaces. 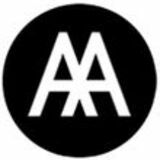 collective campus The collective campus aspires to stimulate a participative and an integrative platform to share common resources for the community, while accentuating the relation among the three autonomous State schools. Through the model of give and take the campus performs as a common ground for sharing and coexisting, to exchange ideas, skills and services without compromising the capabilities of the schools. The campus as an institution functions independently through a self-governing body. The infrastructure is funded by a private organization but owned by the borough, just as the schools, generating a balance between the State and private led developments. with such physical proximity, but social boundaries between these different schools, could there be a way to bring them together? The economic model based on the logic of 'give and take' in where every user is provided with a space in return for the service they contribute to the ecology, encourages participation and responsibility towards the campus. It, therefore, allows one to become a part of multiple communities consisted of diverse intergenerational participants which can bring about a sense of belonging, where as an individual does not associate oneself to a single community. The campus is spatially perceived as an interactive and a time shared learning environment, facilitating integration for an inclusive, permeable network. It supports learning outside the classrooms and encourages the use of school spaces in open-minded and unorthodox ways. The Collective Campus reinforces deinstitutionalization, a moment where the institutions amalgamate with the commons. The area constitutes an intensified diverse mix of land use characterised by different activities and architectural typologies. It portrays the fringe as an extension of the dense fabric of the core of London, but yet is not entirely altered and still maintaining characteristic of a hybrid. Within the territory the educational cluster consists of three state schools which are a part of the body of other primary schools owned and run by the borough of Tower Hamlets. The cluster includes St. Anne's Catholic Primary School, Thomas Buxton Primary School and Osmani Primary School. A collective campus permits the opportunity to integrate between each other, to exchange experiences and expertise, thus creating a sense of community. This campus forms a common ground for not only the schools but also the neighbourhood, from which all will benefit to different extents. The three schools function autonomously with no interaction between each other or with other schools of the locality. Although based on interviews there is a desire to promote an exchange amongst the schools, as well as to share facilities, these relations are lacking. The ground on which the collective campus would be constructed is owned by the Borough Tower Hamlets. Through breaking the mass into smaller components, the new intervention opened up and bridged the gap to the existing schools my multiple restricted entrances for members. The topographic language of the resulting intermediate exterior courts was designed according to their programmes, including gardening, performances and workshops. Inside, two independent circulation routes have been implemented. The respective maintain security for the pupils and teachers to move around freely in their learning landscape, whereas the locals are following specific roots. These lines meet at specific crossing points where common or communal activities, such as the multi-purpose kitchen, the dining hall and the auditorium are held. In these spaces moments of conversion and overlap form the basis for coexistence within the collective campus. Moreover, the implementation of 'intergenerational playgrounds', brings together different actors. The collective campus would be managed by a private organisation, East1 School, facilitating resources for a larger network of schools. On the other hand locals, parents and elderly play an active role in the process, rendering services for pupils such as cooking special meals in the common kitchens or conducting workshops to share their skills with the students. In return, they may use the co-working spaces for their personal business developments. Usually the model of sharing facilities in schools works on a daily timetable where schools operate 9 am - 3 pm, then the community can access it from 3 pm - 6 pm. This model permits a school campus to be open to the public from 9 am - 6 pm, running parallel by coexistence, sharing and time swaps. The architectural devices for coexistence, sharing and time swapping the spaces can be utilised differently. The level shifts allow visual interactions as well as an overlooking/care-taking of the children by the community. Furthermore, differently functioning courts such as a market space, an outdoor theatre, and a workshop court form an additional crossing point. Flexible elements such as curtains can be used to transform the spaces according to its usage purpose and user groups. The drawing shows the three clusters with, on one side, the pressure of the private developments and on the other the different boundaries, physical or perceived, present in the territory. They are thought to perform as islands of experimentation and platforms to reconnect the city with its citizens. Will an architecture ever be able to respond and challenge the needs of an Open Access City? Or will the spatial synthesis, necessary in the design process, compress and contradict the purposes for which the architecture is thought? dialogues as a research group of the housing & urbanism masters programme at the architectural association school of architecture in london, we investigated alternative visions of the city that look beyond state and market towards a more collective model. we would like to invite you to a round table discussion to continue this debate towards an user- based urbanism. An essay was submitted in this call for collaborations for the german magazine Unsere Zeit in May 2017. A round table discussion is booked to continue the dialogue with local practitioners, consultants and professionals of the field related to the area.